Salt is a chemical compound that occurs naturally in seawater. Although doctors warn us to be careful not to consume too much salt, most doctors also advise that salt is essential for us. Yet, within the alternative health arena there is a school of thought that says that it’s not natural to consume salt and that there is nothing in it that we need that we can’t get from better sources. When mainstream medicine says that salt is essential, it is usually talking about processed salt, which contains nothing but sodium chloride and various artificial additives. So, what is really being pointed out here is that sodium is essential. This is certainly the case – its roles include helping to maintain the concentration of body fluids at correct levels and (working in concert with potassium) the transmission of nerve impulses. But sodium occurs naturally in most foods in small quantities and some foods are plentiful sources. If we routinely eat foods with added salt (which includes almost all packaged foods and restaurant foods) or routinely add salt to our food, we inevitably get far too much sodium, and this is definitely not a good thing. There is no raw food expert who will tell you that processed salt is wise, let alone an essential addition to your diet. 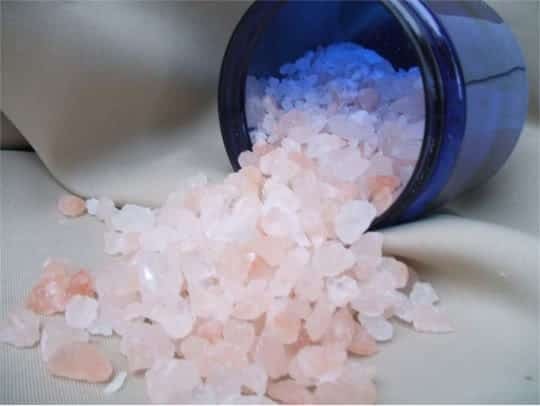 But unrefined salts, such as Celtic sea salt and Himalayan crystal salt, are another matter. Why are these different? The distinction is in how close the product we call “salt” is to the naturally occurring chemical compound. All salt is either extracted from our present-day oceans or mined from rock deposits which are the relics of ancient oceans dried by the sun millions of years ago. That is the case for both processed and unprocessed salts. 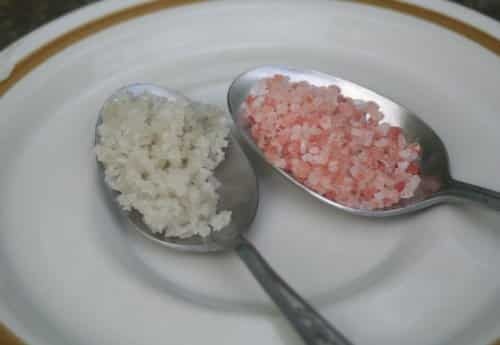 The difference is that while common table salt is heated to high temperatures during processing and stripped of all minerals other than sodium chloride, unprocessed salts are, well, unprocessed and still contain all 84 minerals that occur naturally in seawater. That said, these salts are still predominately sodium chloride. Do they actually contain anything different from processed salts? Do natural, unprocessed salts, such as Himalayan and Celtic, provide essential nutrients we can’t get any other way, and /or is it true that we need such salts for optimal hydration?